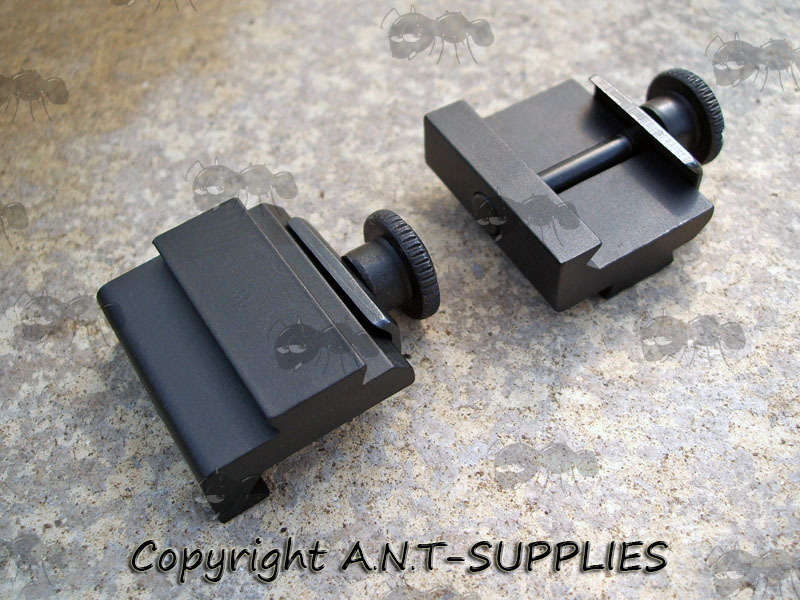 For fitting various devices with 9mm-14mm wide rail mounts to 20mm wide rails. Next > Weaver to wide dovetail adapter. Weaver / picatinny to dovetail. 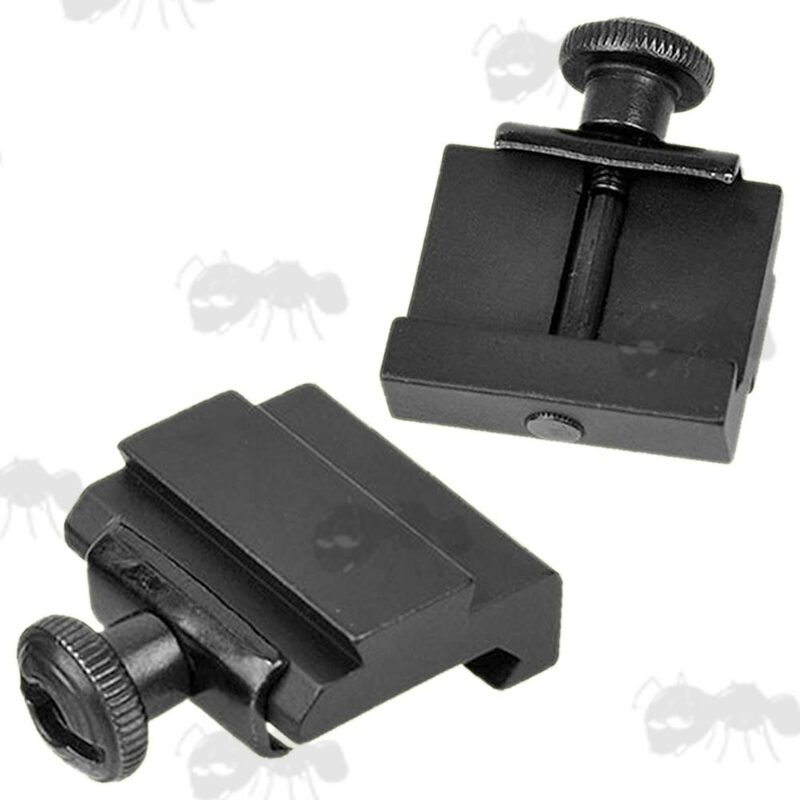 To convert a 20mm weaver rail to a 9.5-11.5mm dovetail rail. The top of the rail is 11.5mm wide. One weighs approx ~ 55 grams. 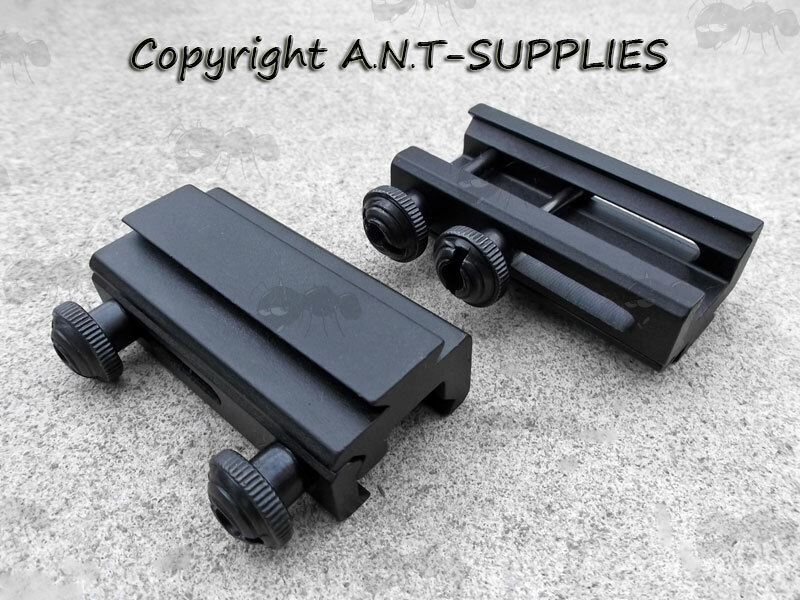 With one of the clamps being movable, it should fit 99.9% of all 20mm wide rails. 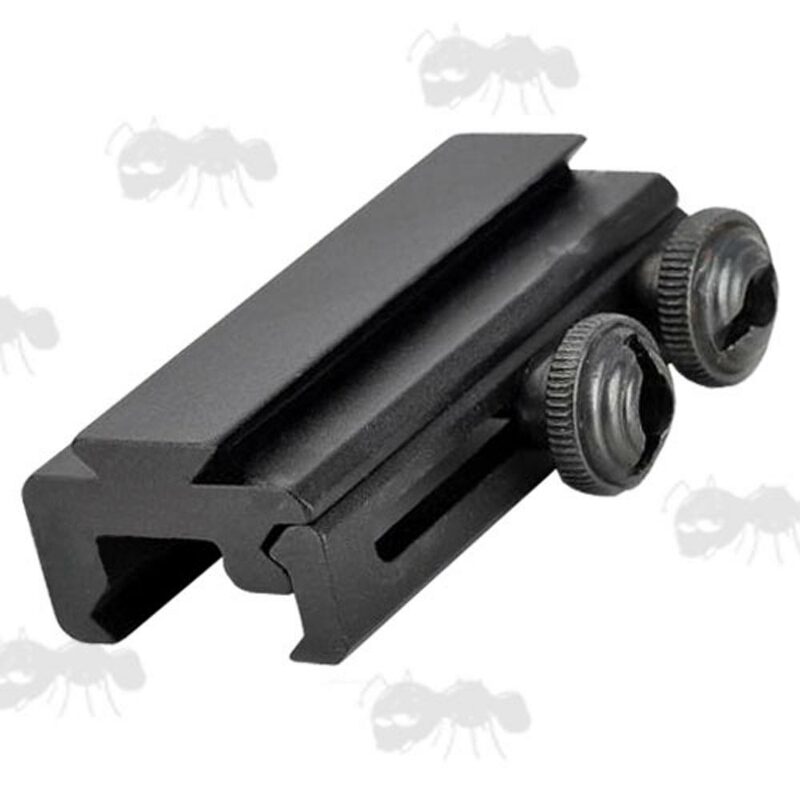 To convert a 20mm weaver rail to a 9.5-13.5mm dovetail rail. The top of the rail is 13.5mm wide. Also available ~ wide dovetail rail fitting spirit levels.